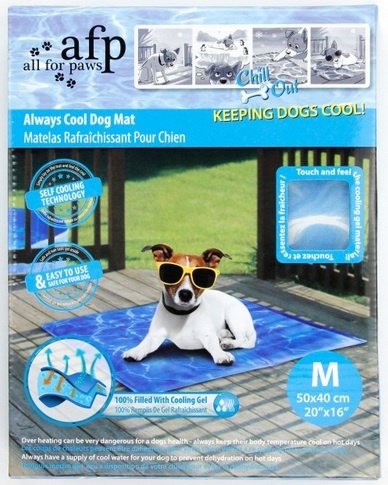 Tried and tested by our staff, these cooling mats are just what you need to keep your 'hot dog' cool in the summer The always cool dog mat remain cool without the need to dampen or refrigerate as it's special cooling gel inner lining keeps the mat surface cold even in hot summer. 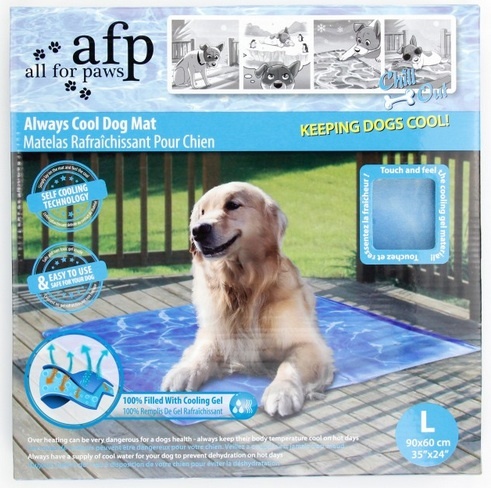 The 'always cool' dog mat remains cool without the need to dampen or refrigerate. 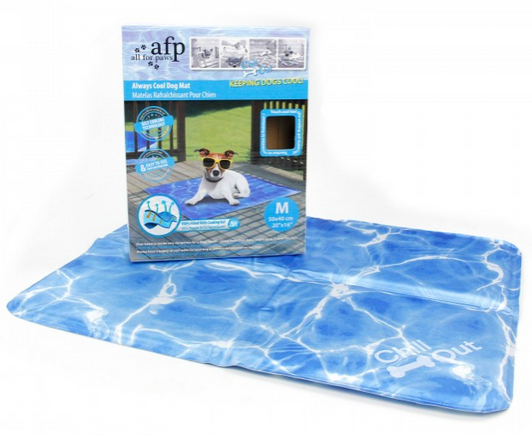 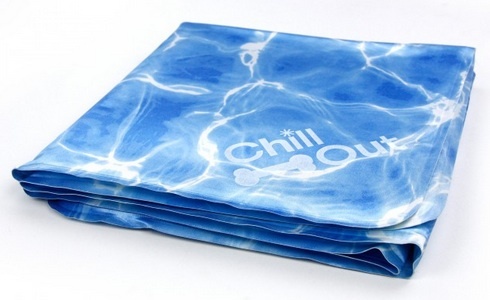 It's special cooling gel inner lining keeps the mat surface cold even in the blistering heat of a hot summer. 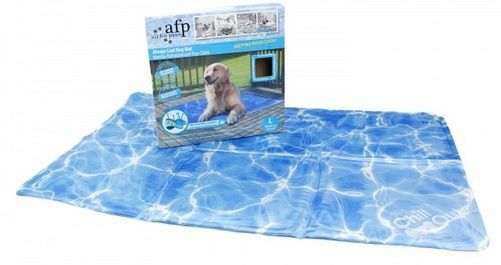 So when your dog is hot under the collar, simply let the dog lay on the cooling pad and watch his temperature decrease.